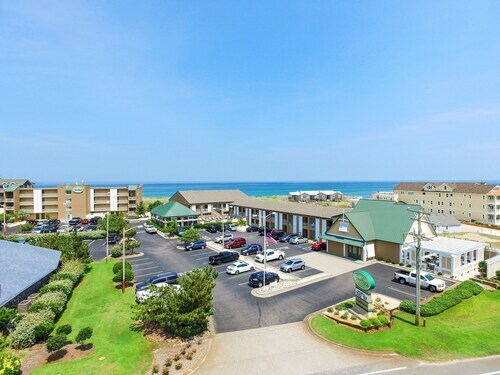 Located in Kill Devil Hills, this beachfront hotel is in a national park and within 2 mi (3 km) of Destination Fun, Wright Brothers National Memorial, and Professor Hacker's Lost Treasure Golf. Avalon Fishing Pier and Nags Head Fishing Pier are also within 3 mi (5 km). 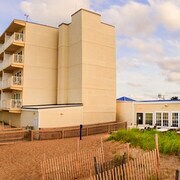 This family-friendly Kitty Hawk resort is located near the beach, within a 15-minute walk of Aycock Brown Welcome Center and Monument to a Century of Flight. Duck Woods Country Club and Sea Scape Golf Links are also within 2 mi (3 km). 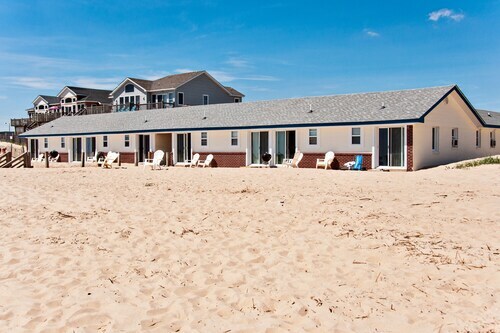 Nestled on the beach, this Nags Head hotel is within 1 mi (2 km) of Full Throttle Speedway and Jennette's Pier. Mutiny Bay Adventure Golf and Tanger Outlet Center are also within 15 minutes. 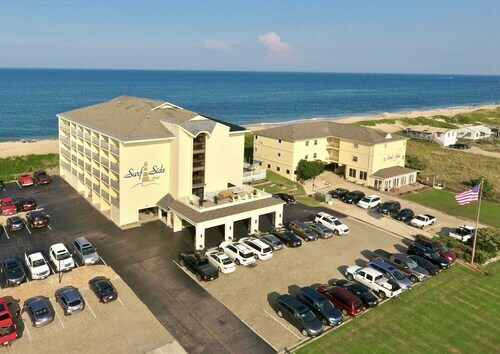 Offering direct access to the beach, this Corolla hotel is 1.7 mi (2.8 km) from Currituck Outer Banks Visitor's Center and within 6 mi (10 km) of Corolla Raceway and Corolla Adventure Golf and Bumper Cars. Currituck Beach and Whale Head Bay are also within 9 mi (15 km). 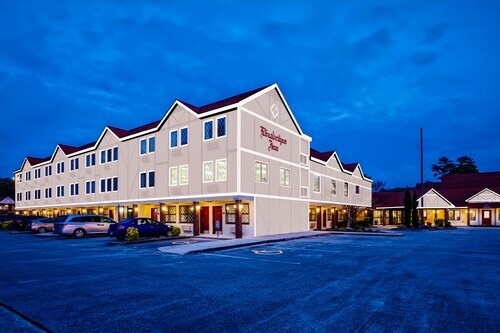 Offering direct access to the beach, this Nags Head hotel is within a 10-minute walk of Tanger Outlet Center and Jennette's Pier. Mutiny Bay Adventure Golf and Full Throttle Speedway are also within 15 minutes. 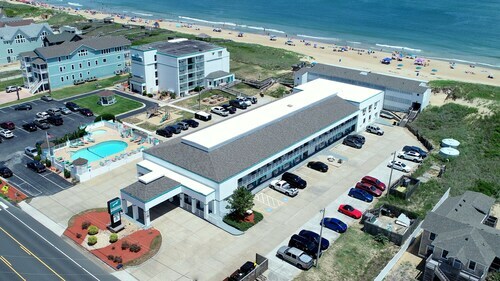 Nestled on the beach, this Kill Devil Hills hotel is within 1 mi (2 km) of Professor Hacker's Lost Treasure Golf and Avalon Fishing Pier. Wright Brothers National Memorial and Hemingway Gallery are also within 2 mi (3 km). 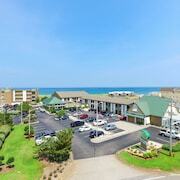 Nestled on the beach, this Kill Devil Hills hotel is within 1 mi (2 km) of Destination Fun and Seaside Art Gallery. Nags Head Fishing Pier and Nags Head Woods Preserve are also within 2 mi (3 km). 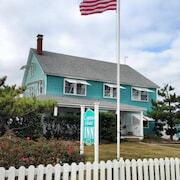 Situated near the beach, this hotel is 0.9 mi (1.4 km) from Wright Brothers National Memorial and 2 mi (3.2 km) from Avalon Fishing Pier. Jockey's Ridge State Park and Nags Head Golf Links are also within 9 mi (15 km). 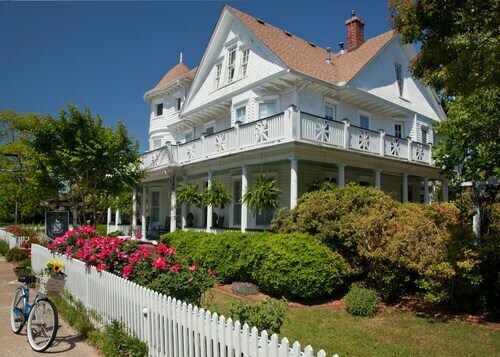 Situated in the historical district, this luxury bed & breakfast is within a 10-minute walk of Roanoke Marshes Lighthouse, Festival Park, and Outer Banks History Center. Island Farm and Outer Banks Visitors Bureau are also within 2 mi (3 km). 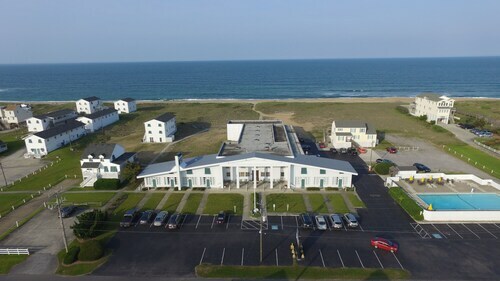 Nestled on the beach, this Kill Devil Hills motel is within 1 mi (2 km) of Destination Fun and Wright Brothers National Memorial. 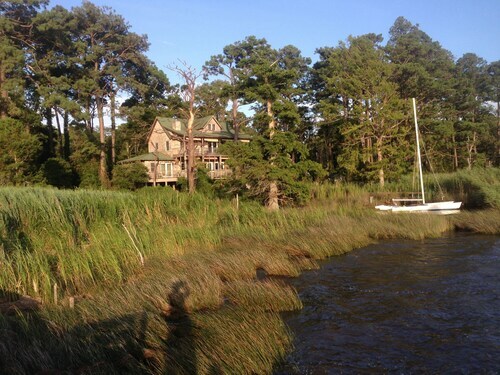 Avalon Fishing Pier and Nags Head Woods Preserve are also within 3 mi (5 km). 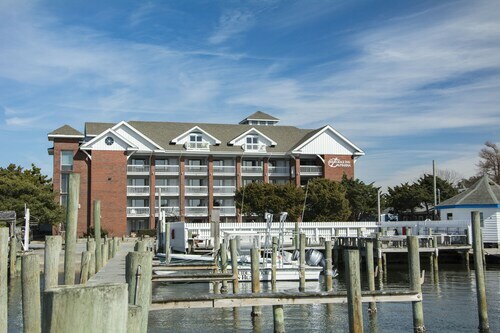 Situated in the entertainment district, this hotel is within 2 mi (3 km) of Destination Fun, Wright Brothers National Memorial, and Nags Head Woods Preserve. Professor Hacker's Lost Treasure Golf and Seaside Art Gallery are also within 3 mi (5 km). Situated near the beach, this guesthouse is within 1 mi (2 km) of Full Throttle Speedway and Jennette's Pier. Mutiny Bay Adventure Golf and Tanger Outlet Center are also within 1 mi (2 km). 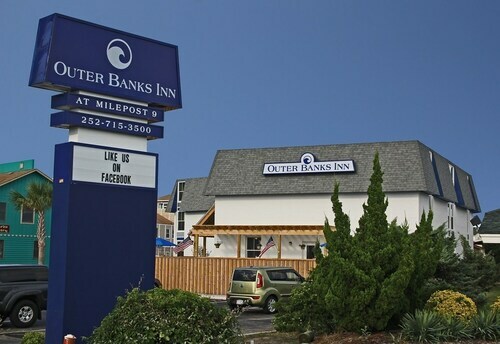 How Much is a Hotel Room in Outer Banks? 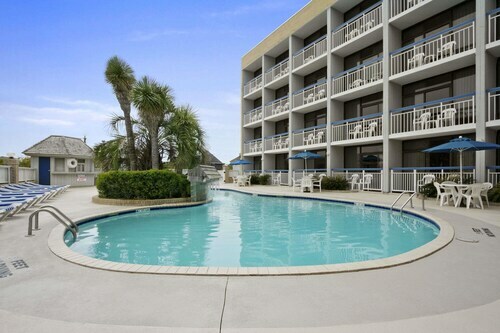 Hotels in Outer Banks start at $69 per night. Prices and availability subject to change. Additional terms may apply. Pack your bags—it’s time to embark on a getaway. 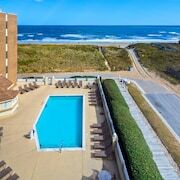 Whether you’re craving a solo retreat or promising your family a vacation to remember, book one of the best hotels in Outer Banks. These hotels are located within easy access of the city’s hottest attractions and entertainment, so you won’t miss a beat while you’re in town. Spend the days exploring the local landmarks and the evenings getting to know the nightlife. After exploring the city from top to bottom, rest up at a hotel that speaks to you. Find the perfect place that matches your trip’s vibe, from a trendy boutique to family-friendly accommodations. 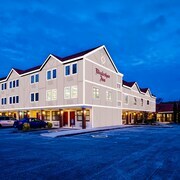 Allow us here at Travelocity to pair you with up Outer Banks hotels that suit your vacation preferences. 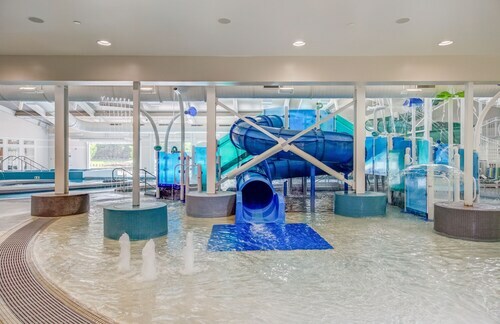 Discover places with convenient on-site restaurants, around-the-clock service, and pools where your kids can make a splash. Some hotels may boast fitness rooms and spa services, while others feature game rooms and Wi-Fi access. To top it all off, you’ll score cheap hotels in Outer Banks that let you spend more on your activities and less on your lodging. Book and bundle your flight and hotel deals together today and save up to $537. It’s time to explore a new city, and break out of your routine. 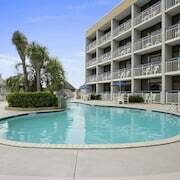 Restaurant with small bar on site, 24 hour mini-convenience store next to check in desk-beer, wine and sodas for purchase any time, room service, and all right on the beach at Kitty Hawk Pier. The entire property is clean and well-kept. Not 5 star, but great for the price. Not a lot of amenities, but it’s what I expected, and It was good for me on this trip. We enjoyed the natural beauty and serenity of this lovely inn and its location, which allowed us opportunities to watch cranes, deer & turtles feed under awe inspiring sunrises and sunsets. Our hosts went out of their way to make us comfortable and made our anniversary trip an even more special getaway. This was our second visit and will not be our last! We’re already planning our return! Good location. Need lampshade in 107. Looks terrible. Linens did not smell fresh Maybe spray with febreez. All around not bad. We enjoyed the size of our room and the furnishings. The only problem we had was that one time the staff came to clean our room, the bed was made sloppily and you could tell the spread was just put over rumpled sheets. Great place! Friendly staff. Clean rooms and convenient to a lot! Will be back.